Impact investing is gaining global attention from society, governments and businesses. Increasingly, it is seen as a new paradigm to deal with the economic crisis and curtailed public budgets, an answer to the diversified needs of society. It now ranks high on the policy agenda of governments and international organizations, and private investors are searching for new investment opportunities to channel the liquidity available. This book is the first to look at impact investing as a "refocus" of venture capital to sustain the development of societal impact enterprises. 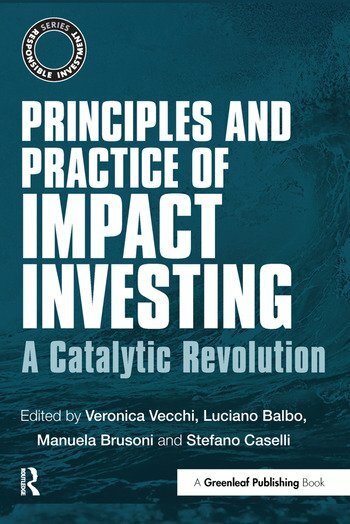 Principles and Practice of Impact Investing collects chapters from international experts on the subject, discussing the foundations of the movement, analysing leading international cases and debating future trends in the field. It also includes interviews with some of the most influential stakeholders of impact investing across the world. The book is an inspirational and practical guide for actors and stakeholders to enable better understanding of impact investing. Taking an international perspective, the chapters primarily deal with mature economies, setting it apart from the existing literature focused on emerging countries. The book will be of interests to practitioners and executives, as well as researchers and MBA students.